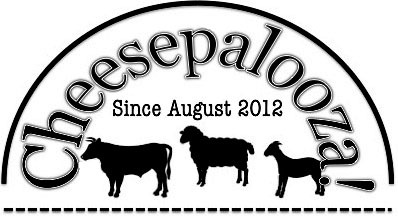 For the last few weeks I have been busy preparing for Cheese Making Classes and making some cheese for my wife. I know…My wife requested some cheese for a meeting she was going to. I was quite happy to make it for her. 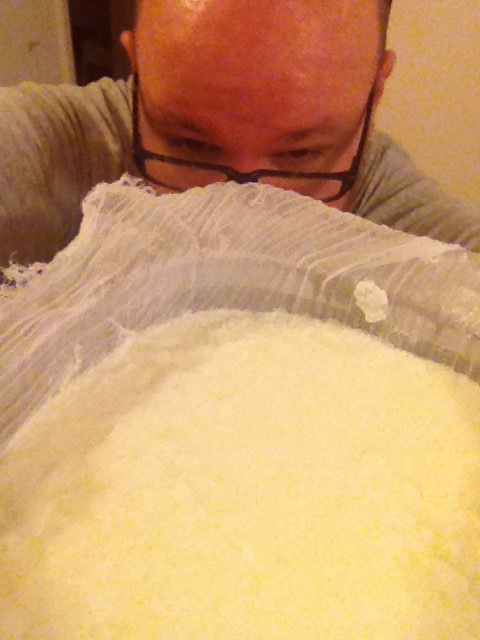 So much that I took this curd selfie. But more on that later, including a recipe. 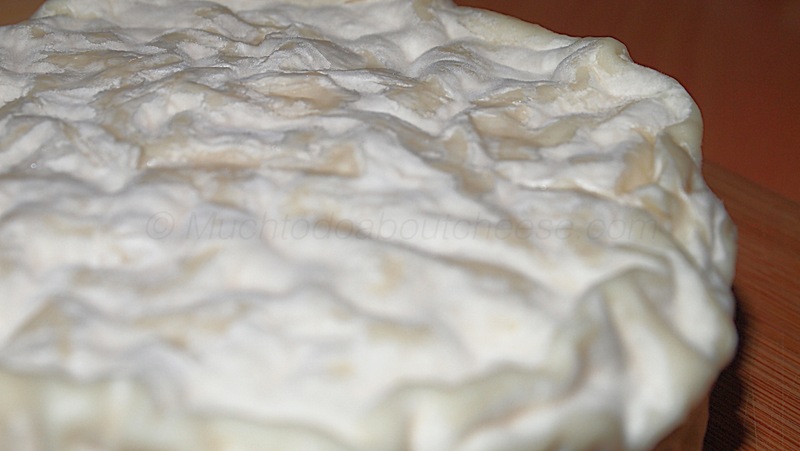 I have a Camembert class coming up so I have made practice batches, quite a few of them. I could not resist tweaking the recipe a bit to create the CamemBrains. 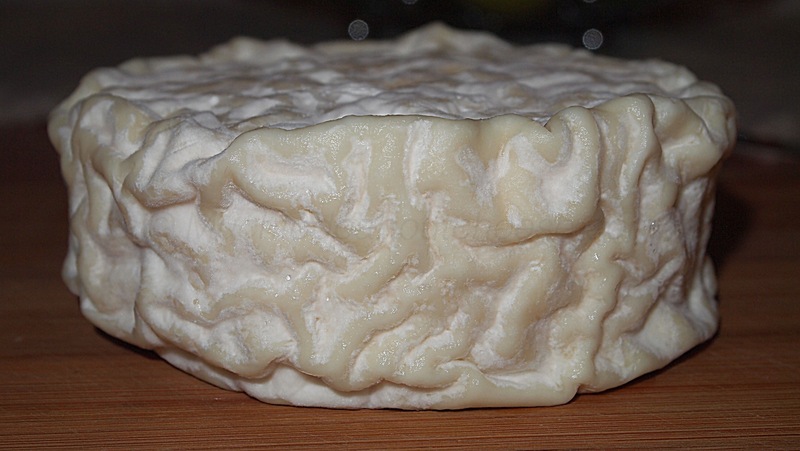 This little brainy Camembert was not ready for Halloween. The kind that would make a Zombie Choir Sing! It was a shame to have to eat it. Next came the request by my wife to make some Fromage Blanc or the Cow’s Milk version of Chèvre. I ripened the milk for 24 hours and then drained for another 12 hours. I then salted the cheese and let it sit in the fridge for a day. Then I created my logs and rolled them in herbs and spices. The top log is coated with Montreal Steak Spice and the bottom is coated with Herbs de Province. This cheese can be considered a “SET AND FORGET” cheese, and for little effort you get maximum flavour. Read recipe thoroughly; sanitize your equipment and your work area. Crush 1⁄4 tablet of rennet and dissolve in 1/4 cup of cool non-chlorinated water or if using liquid rennet mix ¼ tsp of liquid rennet in ¼ cup cool non-chlorinated water, and set aside. Measure 1/4 cup of buttermilk (shake well, first); set aside. Pour milk into pot; stir in buttermilk and heat slowly to 26C (80F) then remove the pot from the burner. Now take the dissolved rennet and add 2 tablespoons of the solution to the milk immediately stirring in a top to bottom motion for 20 strokes, and then stop. Cover the pot, and leave undisturbed for 12 – 24 hours inside your oven, or a warm place where it won’t get jarred. Turn on your oven light to maintain temperature. After 12 – 24 hours check the curd. It will look like custard with a clear separation between the curds and whey around the side of the pot You can see a clean break when tested with a knife, the same way you checked the curd in the “Quick” Mozzarella recipe. Prepare the sieve by covering it with layers of cheesecloth; ladle the curd into the lined sieve to allow the whey to drain; if using moulds, place the curds in the moulds. Once the bulk of the whey has drained in the sieve, hang the cheese for 6 – 12 hours, the weight of it will aid the process. There are many ways to hang the curd, you can make a bag with your cheesecloth or you can use a sterilized pillowcase. Then hang it off of your faucet or use a broom handle over a bucket. Use what works for you. If whey is still dripping from the hung bag, leave it a couple of more hours. 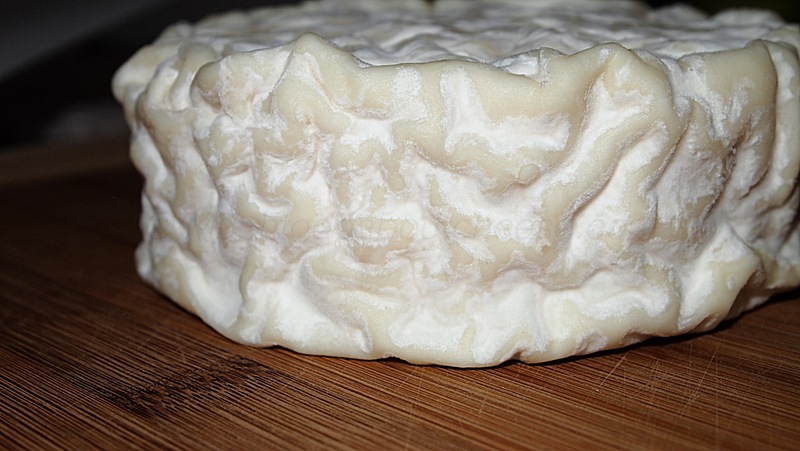 It will be damp and feel very moist to the touch on the outside, but there will be no whey dripping from the curds. The longer you drain the cheese the drier it will be. When the curd is the way you want, it is time to salt and flavour the cheese. Ensure the counter top is sanitized; sprinkle a teaspoon of salt over the surface area or the curds and gently mix in; if curds are in moulds, sprinkle a little salt over the top of each mould and it will seep in. You can then form into plain logs on top of plastic wrap or choose a herb mixture to roll the log in. 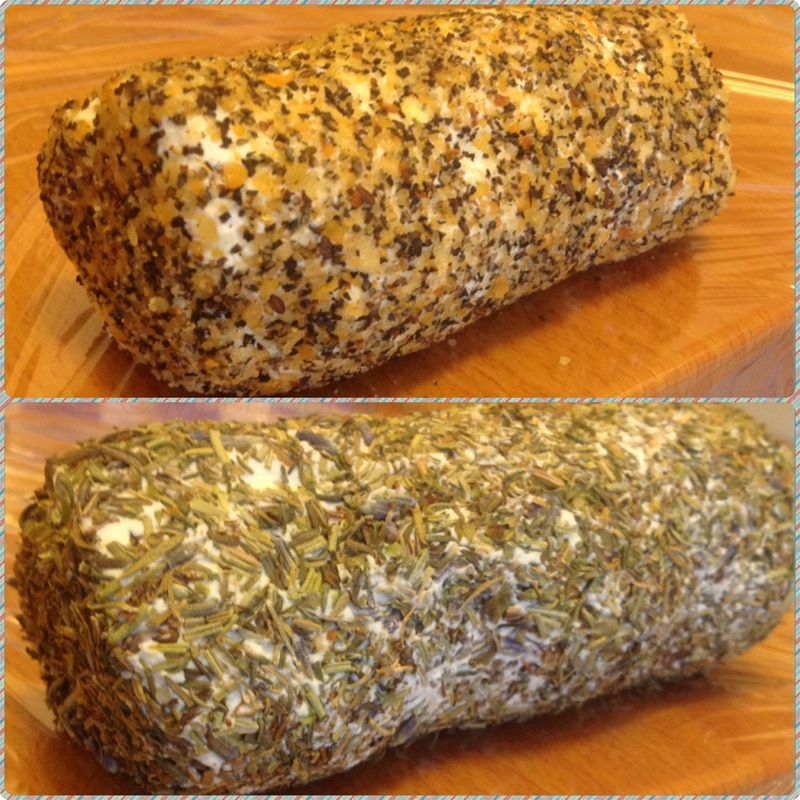 If you use a herb mix, place the mixture on the plastic wrap, roll the log in it, then wrap, refrigerate, and enjoy. The shelf life is a week to 10 days if not rolled in a herb mixture; if rolled in herbs, a little over two weeks. If you are using herbs make the cheese a few days ahead of time, this gives the herbs time to add to the flavour. 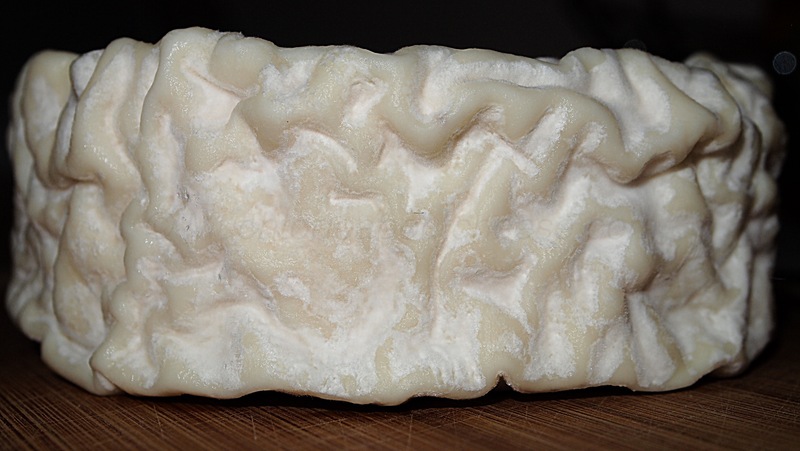 This cheese can be frozen with little loss in texture and flavour. I rotate the log to find any spots not covered. Give it a try you might like it. ← How’s Your Cheese Cred? What do you consider as active culture buttermilk? It should say Active Culture or Bacteria Cultures in the ingredient list. You can always make your own by adding 1/32 tsp of Aroma B culture to 2 cups of milk. Put it in mason jar and put on your counter for 12 hrs. Love the curd selfie! Lol. In theory you should get from between 800 grams to 1 kg of Fromage Blanc. There are variables to consider too. If you like a drier cheese the you may get less than or if you drain less then you may get more. I hope this helps.